Thomas Steven Lawrence obituary. Carnes Funeral Home. Oct 7, 2017 Kristine, so sorry for your loss. I wish you and your family the best. 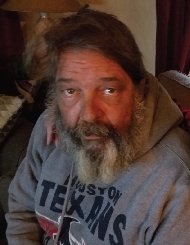 Thomas Steven Lawrence, 66, of Texas City, passed away Saturday, September 30, 2017. Tom was born August 5, 1951, in Chicago, Illinois. He was a Roofing Superintendent for Walker Roofing. Being a hard worker, he enjoyed his time off by cooking (his spaghetti was the best), reading, socializing with friends over a game of Texas Hold ‘Em or dominos, watching Nascar, the Chicago Bears, the Houston Texans, and the Chicago Cubs. Tom was a good man and he will be greatly missed by everyone who knew and loved him. He is preceded in death by his mother, Marilyn Harriet Lawrence, and his father Jack W. Lawrence. He is survived by his wife, Kristine; his sons Michael and wife Curry, Adam and wife Meghan; his daughters Rebecca Lawrence and husband Jeremy Cergizan and Jacqueline; step-children David Jones and wife Kathryn and Kate Jones; brother Timothy Lawrence and wife Cindy; sister Pamela Vander Heyden and husband David; grandchildren Damian, Hunter, Jozzalyne, Madison, Adam Jr., and other friends and relatives. With Pastor Alex Chapman officiating.